I am so very excited for this weekend! We have the opportunity to listen to a living prophet and other church leaders as they give counsel and advice. 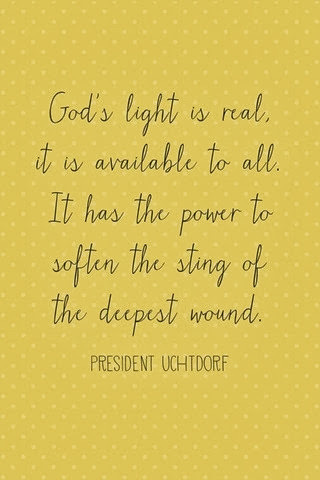 General Conference has always brought me comfort and peace. I know I have received personal revelation through faithfully watching and praying for insight. I invite anyone who might have questions about my beliefs and would like to learn more to watch this weekend. I also invite anyone that may be going through hard times or simply have questions they'd liked answered to watch as well.